In the previous section, a page to list system properties was completed. Some supporting classes are updated (DAO class) or created. A Jar file of the project files can be downloaded here. The jar file's contents can be extracted using various opensource archive utilities, or using the JDK's jar command line tool. 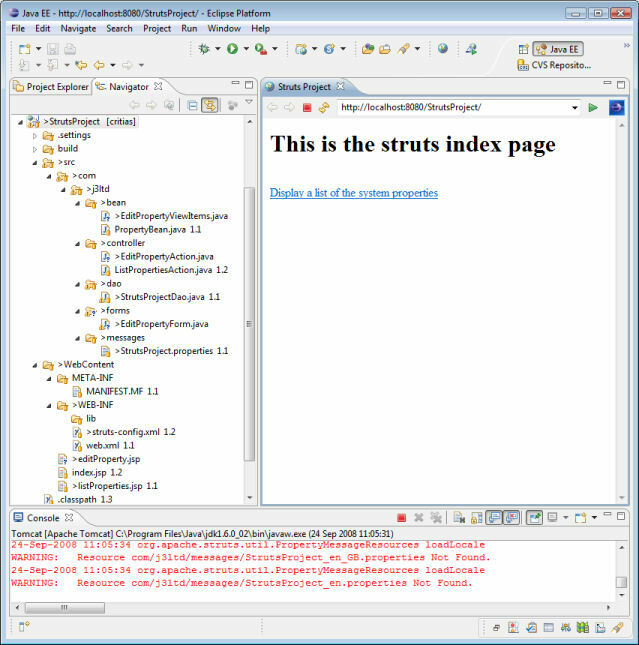 This completes the quick introdution to Struts programming.